It really does remind me of raindrops! 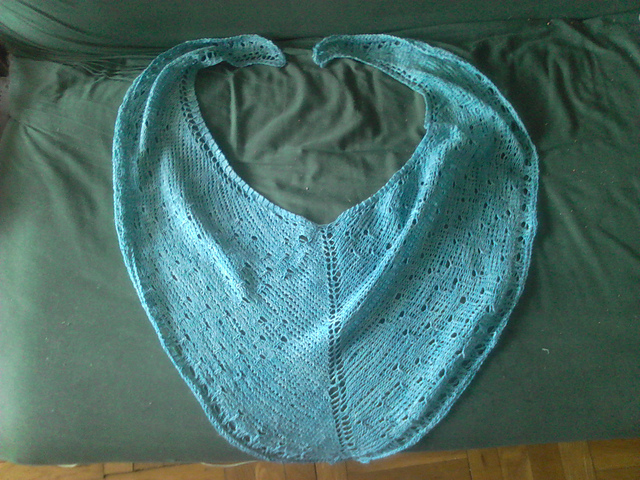 As for the rest of the shawl, I was initially a bit stumped by the border -- what did I want to do? I was originally thinking some sort of beaded border -- but then, one day, as I was coming home, I watched raindrops pooling in the street, right by the curb. The border is just a simple set of YO's against a stocking stitch background, designed to imitate raindrops pooling together as they drain into the storm gutters. It's not a wide border, but I think that worked out ok! That being said, now that I've finished this one -- it's not going up for testing immediately. There are a few tweaks I want to make to the pattern before I put it up for testing. 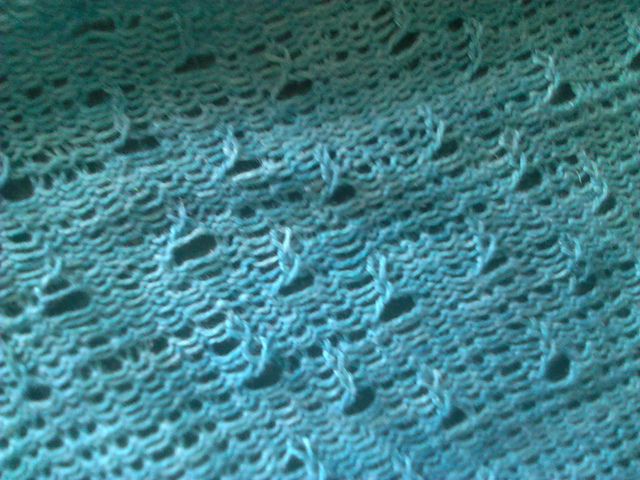 I want to spread out the Raindrop lace a touch more, and make it a touch denser (more raindrops and a bit more lacy, if I can). I also want to play around with the center spine increases, too, see if there's a way to incorporate them better into the pattern. Beautiful! For a moment, I thought the yarn was Be Sweet Bamboo - the color variation is almost identical to a shawlette I made years ago. Also (continuing my previous post (which didn't show up as a reply -- whoops! Maybe I hit the wrong button! 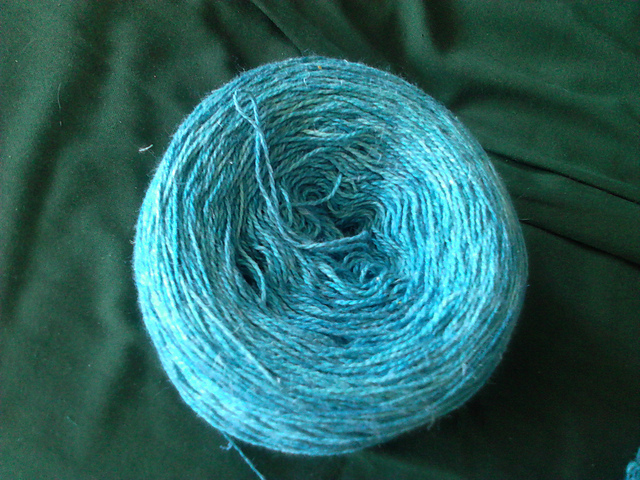 ), the colourway in question is "Aqua". It's a bit paler then the photos suggest (it's one of those hard-to-photograph-right colours), but it seemed quite suitable considering the theme of the designer's challenge! I do still have half a skein left (it comes in skeins of 755 yards), so when I re-make this I'll use the other half of the skein. But I've got some other things I want to get sorted out first before I start another project!